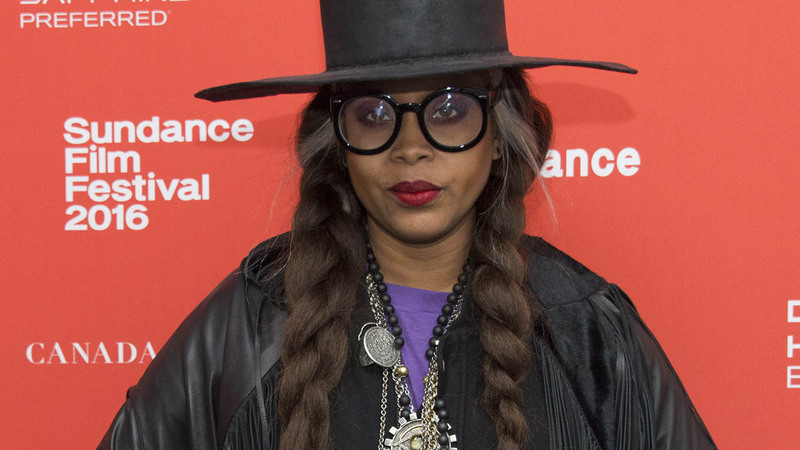 NEW YORK -- Erykah Badu claims her words were "misconstrued" in the wake of a controversial interview in which she said she sees a "good" side to everyone, including Adolf Hitler. In a series of tweets Thursday, the singer stressed she was trying to impart a "message of compassion" and encouraged people to read the entire interview, not "out of context" and "selective" headlines. "I don't want 2 force U 2understand the way I love. I'm hopeful tho," she wrote. The comments come a day after Vulture published an interview with Badu in which she had supportive things to say about Bill Cosby and Hitler. "I see good in everybody. I saw something good in Hitler," she said. Badu called him a "wonderful painter" and said he had a "terrible childhood," when asked to elaborate. In a tweet Thursday, the singer explained she "used the worst examples possible" to "exaggerate a show of compassion." In the Vulture interview she was asked about separating art from the artist who made them, including the comedian Louis C.K., who has acknowledged masturbating in front of multiple women without their consent. Badu said, "I don't want to get scared into not thinking for myself. I weigh everything." "I would have to really think about it and know the facts in each of those situations before I made a judgment," she continued. On Cosby, Badu said, "I love Bill Cosby, and I love what he's done for the world. But if he's sick, why would I be angry with him?" She added that "sick people do evil things; hurt people hurt people." Cosby has been accused by multiple women of drugging and sexually assaulting them. Badu also said she supported the Nation of Islam leader Louis Farrakhan, who has been accused of anti-Semitism. "I'm also OK with anything I had to say about Louis Farrakhan," Badu told the interviewer. "But I'm not an anti-Semitic person. I don't even know what anti-Semitic was before I was called it." She called herself a "humanist." Jonathan Greenblatt, CEO of the Anti-Defamation League, said he read the interview and weighed in on Twitter. "I also like to think that there is good in all people, but Hitler is pure evil. I don't care if he painted or was a vegetarian; Hitler is responsible for the deaths of 6 million Jews & a war that claimed the lives of tens of millions. Shame on you for downplaying that," he wrote. In the 20 years since her groundbreaking debut "Baduizm," Badu has continued to make music, been a doula and a TV host - including the Soul Train Awards on BET - and producer. Her last album was 2010's "New Amerykah Part Two."